A Singles round will be held in the morning and a second “seeded” Doubles round will take place in the afternoon. Partners will be determined by pairing highest scores with lowest scores. The round format will be “Best Shot” where teams will choose which of their two lies they prefer. Trophies will be awarded in the Singles and Doubles categories and prizes will be awarded from the “Fabulously Cheap Prize Box” based on the Overall order of finish. The Overall finish is determined by totaling the first and second round scores. 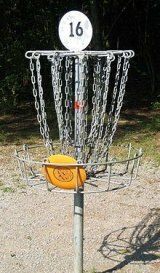 All are invited to take part in this event, and not just by turning out to play a round or two of disc golf. Interested folks, businesses, and non-profits are invited to make a donation to the Huntington Area Food Bank (1327 7th Avenue, Huntington, WV 25701 (304)523-6029). If a tax deductable financial contribution is being made, please make check payable to Huntington Area Food Bank with “Ice Bowl” or “Disc Golf” in the Memo line. If a donation of food, please drop it by the HAFB facility and mention “Ice Bowl” or “Disc Golf” to the scale operators. If you would like to drop by Rotary Park on Saturday, that is fine too. 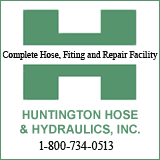 The Huntington Disc Golf Club will see to it that your donation gets to HAFB. The good people at the HAFB will tally all food and financial donations. Totals are reported to the Ice Bowl Headquarters in Kansas City where all participating community tabulations will be made and the 2011 Ice Bowl competition “winners” will be determined.